The Nice Tramway connects downtown Nice (Place Massena) to both the northern and eastern suburbs. The tramline runs through the centre of Nice France. It passes the Acropolis Convention Centre and the Palais des Expositions. A single journey tram ticket costs 1.50 euro while a 10-trip ticket costs 10.00 euro. 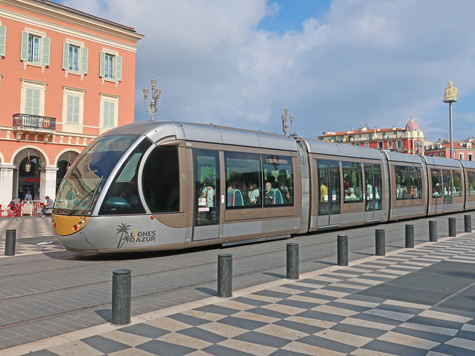 PDF Maps of the Nice tramway system can be downloaded from the Nice transit website. Tram service will soon be available to the Nice International Airport.